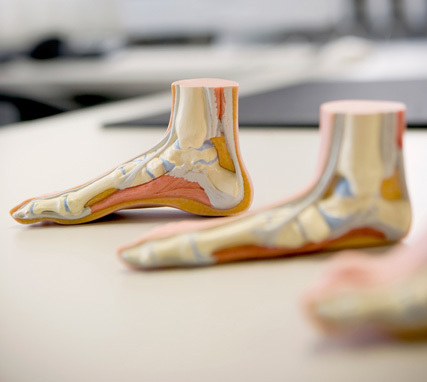 Orthotics are small, light weight devices that are moulded specifically for you by podiatrists to subtly alter walking patterns and reduce pain in people’s feet. These can be made from a range of light-weight and soft materials to help achieve a smoother walking pattern, reduce pain, and improve foot function. Podiatrists are registered with ALL private health funds to dispense orthotics. With the correct private health coverage, orthotics are a cheap and effective way to improve your feet. Unlike other health providers, podiatrists are able to help you claim your rebate through all private health funds registered with HICAPS. Call today for a foot assessment and any further information. All consultations accompanied by an EPC referral from your GP have a Medicare stipulated rebate but are not bulk-billed. There are limited bulk billing options available in exceptional circumstances. We are registered with all funds through HICAPS and can process your claim immediately with your private health card. Podiatrists are the only profession recognised by ALL private health funds to prescribe orthotics.